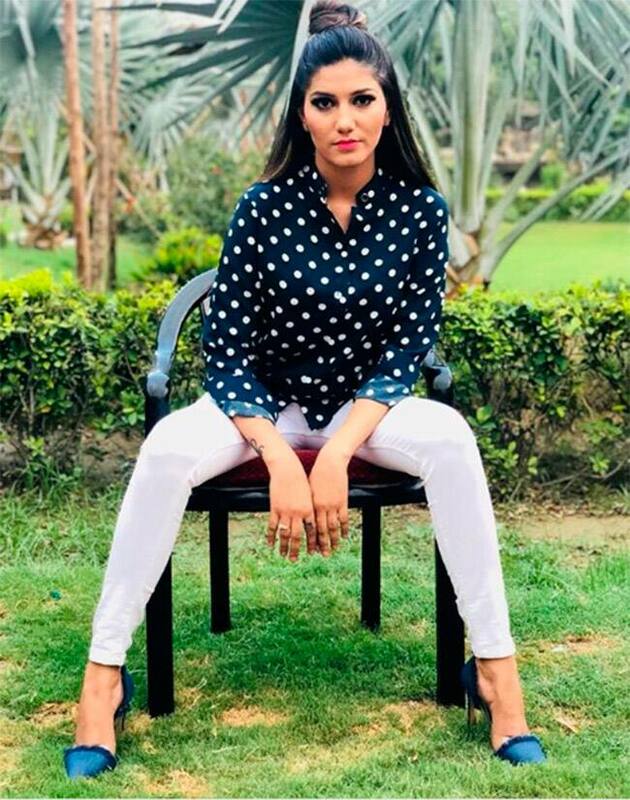 Haryanvi sensation Sapna Choudhary, who is a singer and a dancer, has gained nationwide popularity after she appeared in Bigg Boss 11. 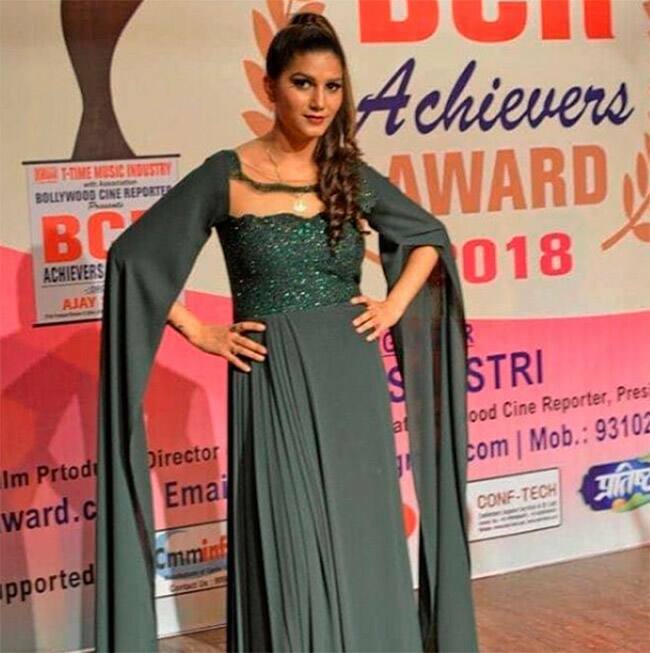 She was part of the reality show for a short time, but her aggressive personality and dance performances during the show gave her a lot of popularity among Indian audience. During her stint in Salman Khan’s reality show she used to opt for traditional wear. Sapna has now ditched her traditional avatar and got a complete stylish makeover. She is not only experimenting with her outfits but also with different hair-dos and make-up techniques. 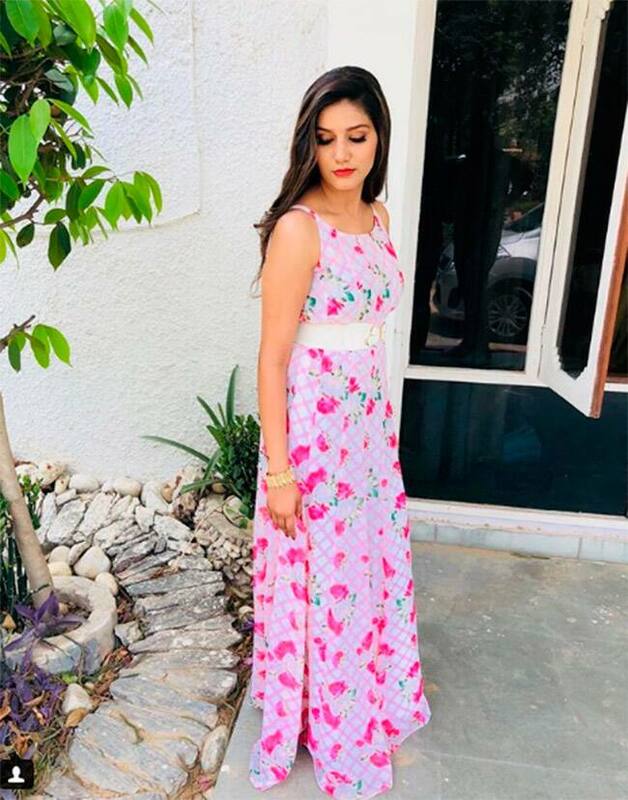 Sapna who was seen setting the temperatures soaring with her thumkas and sizzling moves in her salwar kameez is taking up different styles and her sartorial choices are evolving every day. Her latest retro photoshoot has made heads turn. In a recent post, the actress has rocked the 80s look! Sapna looks impeccable in the black shimmery top with the red rose tucked in her braid. Keeping her makeup minimal, the dark kohled eyes and the red lips are doing wonders to this perfect click. The actress was seen in the Bigg Boss 11 house, she was applauded for her straightforwardness and her dancing s****s as well. The controversial reality show has been a big platform, especially for Sapna. Her life has changed post her Bigg Boss stint. The fans were also stunned to see her major transformation. Sapna Choudhary was already a big name in Delhi-NCR region before entering Bigg Boss. She made quite a fan following nationwide before getting eliminated from the show. Sapna’s hit songs are teri aakhya ka yo kajal, solid body, Laad Piya Ke and many more. 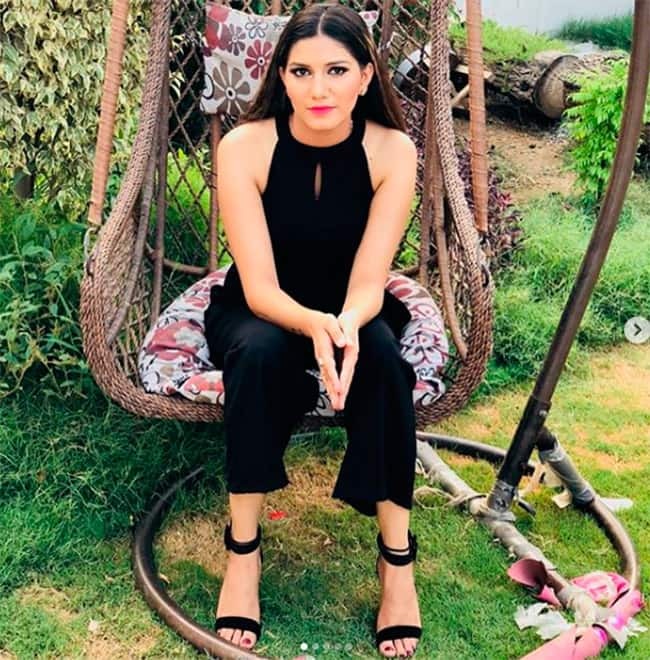 Bigg Boss 11 fame Sapna Choudhary, who is also a Haryanvi singer and dancer, is gradually becoming a part of the glamour industry. She surely knows how to make our heads turn with her latest pictures on Instagram. When it comes to flaunting her curves, Sapna really knows how to do it.